Sorry I’ve been absent from blogging… I’ve been spending a lot of my time at Brewvies. Ya know…hitting up the free movie on Monday’s… or I just checked out the Hangover II midnight showing. The staff is awesome, the food is DELISH, and the theatre’s are nice. I never want to leave when I go. Are you bored? Go and see a movie there. RIGHT NOW. I mean, honestly? Beetlejuice in theatre? I am crying with joy right now. Seriously, I am. 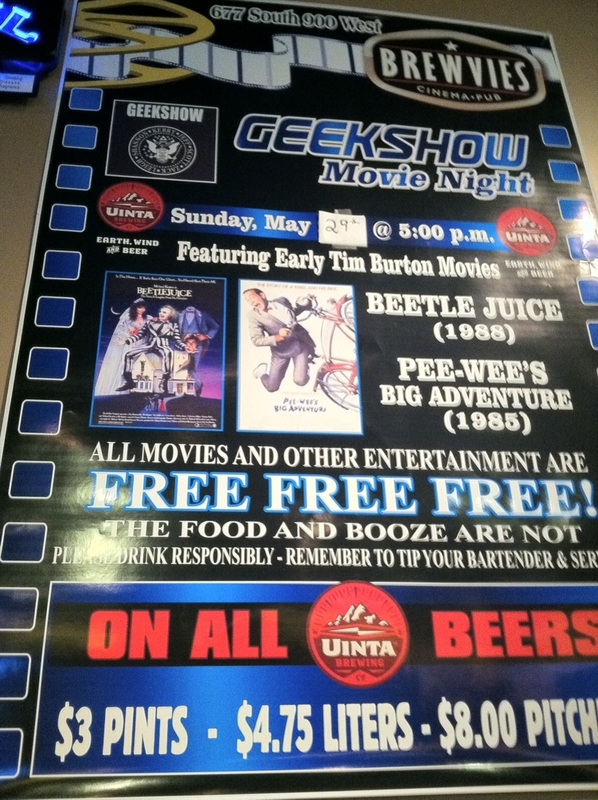 This entry was posted in Beetlebrewvs, Brewvies, Movie Monday by Brooke. Bookmark the permalink.